✅ MAKE AN IMPACT - Save the world one straw at a time. Join the crusade against plastic pollution. CAMPFY's Stainless Steel Straws will help you eliminate plastic waste with every beverage. Even the smallest act counts! 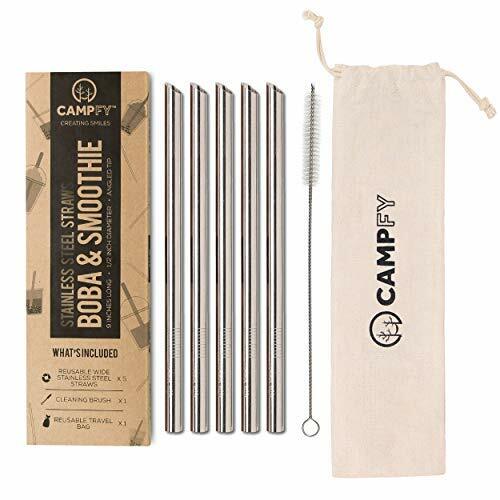 ✅ PORTABLE & EASY TO CLEAN - CAMPFY's Stainless Steel Straws come with one cleaning brushes and a reusable travel bag. 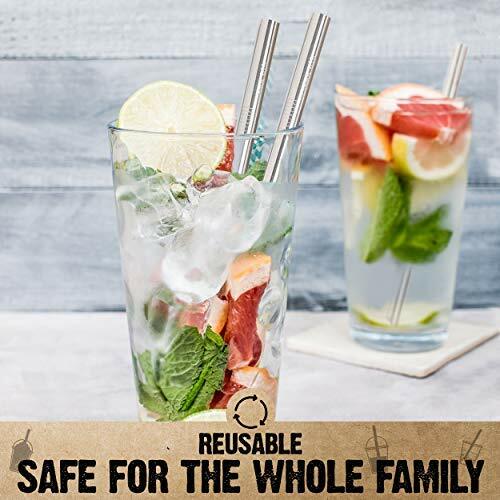 You'll always be set in having your guilt-free drink whenever you have our stainless steel straws in your bags. Americans use an average of 1.6 straws per day. This cumulatively amounts to 390 million plastic straws used and disposed while they contribute to the 8 million metric tons of total plastic waste dumped into the oceans annually. At this rate, by 2050, there will be more plastic in the ocean than fish. Since it takes at least 200 years before plastic straws decompose, they tend break down into smaller and smaller pieces that are soon ingested by marine life. Moreover, according to a recent study, by 2050, 99% of all seabirds will have ingested plastic. However, some people still need straws. They provide easier access to our beverages that are especially crucial for people with disabilities and those concerned with hygiene. 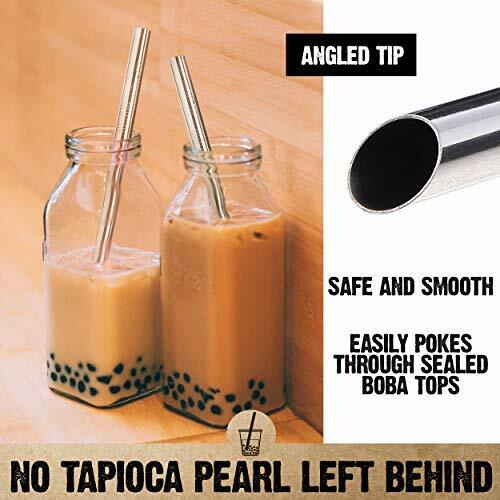 CAMPFY Stainless Steel Straws can offer a compromise. You never have to worry about your plastic consumption while enjoying your drink! 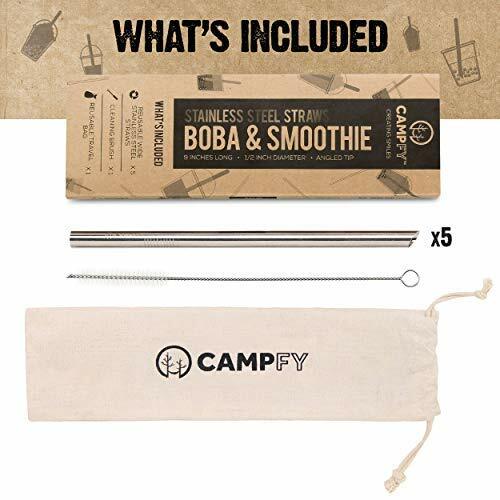 CAMPFY Stainless Steel Straws will help you reduce your plastic consumption by opting out from those pesky straws that pollute our oceans. 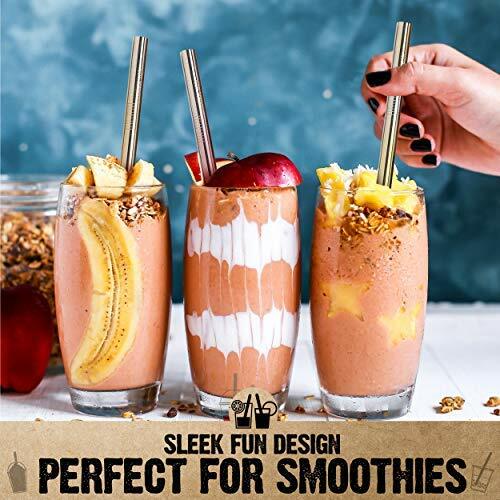 These reusable FDA approaved food-grade stainless steel straws do not contain any artificial dyes, colors, or finishing chemicals that might harm your health. 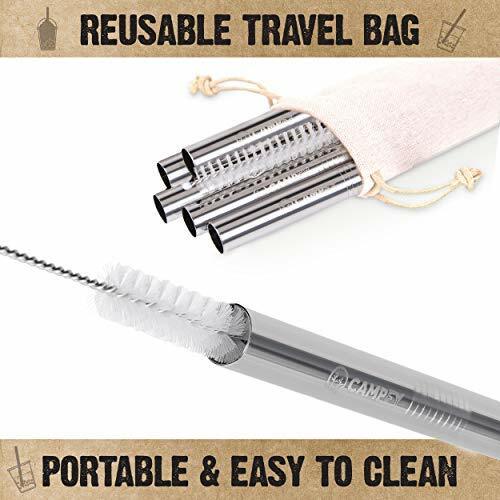 Pack these earth-conscious straws into your every travel with its reusable travel bag and cleaning brush for portable and easy cleaning. 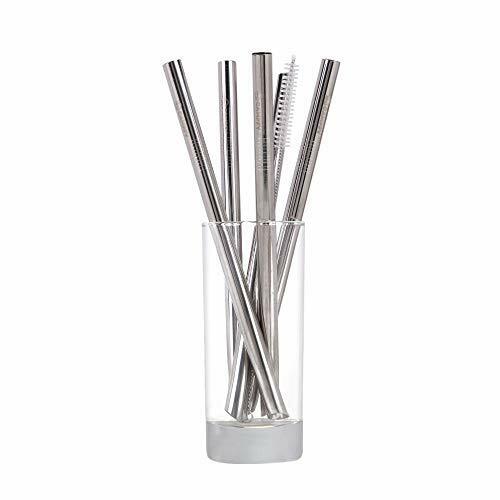 Using these stainless steel straws instead of single-use plastic straws can also teach your friends and relatives by example when they see you go the extra mile in caring for the environment. 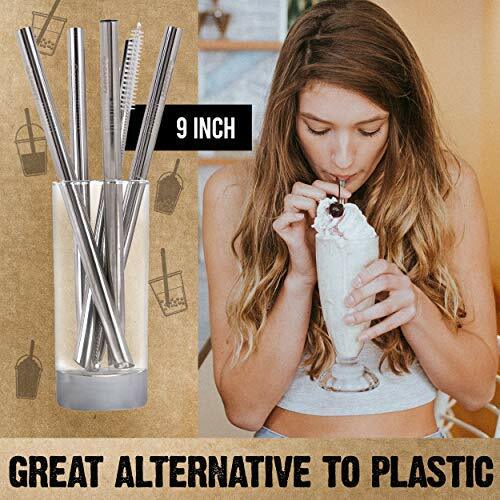 ✅ Comes with 5 12mm wide stainless steel straws with an safe and smooth angled tip. ✅ Comes with a cleaning brush and travel bag for safekeeping. You're one button away from living a sustainable and plastic-free lifestyle!